Explore this million acre World Heritage-listed area. 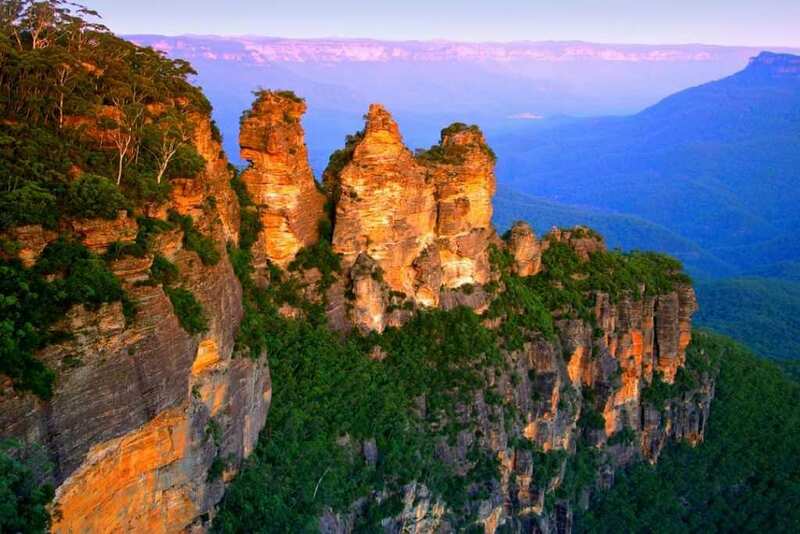 This tour takes you away from the obvious tourist traps to show you the Blue Mountains from an insider’s perspective – from secluded lookouts, rainforest bush tracks and pristine valleys. See Australia’s unique landscapes, and learn about aboriginal culture from those who live it. You still see all the main sights, like the fascinating Three Sisters, but you will be taken to the smaller lookouts where you’ll hopefully be the only ones enjoying the view. Peaceful bushwalks enhance the experience. The day begins at the beautiful cliff-top Blue Mountains Botanic Gardens, with an opportunity to see ancient pines and some of the oldest flowering plants on earth, while relaxing with a light morning tea of hot drink and the traditional lamington cakes. 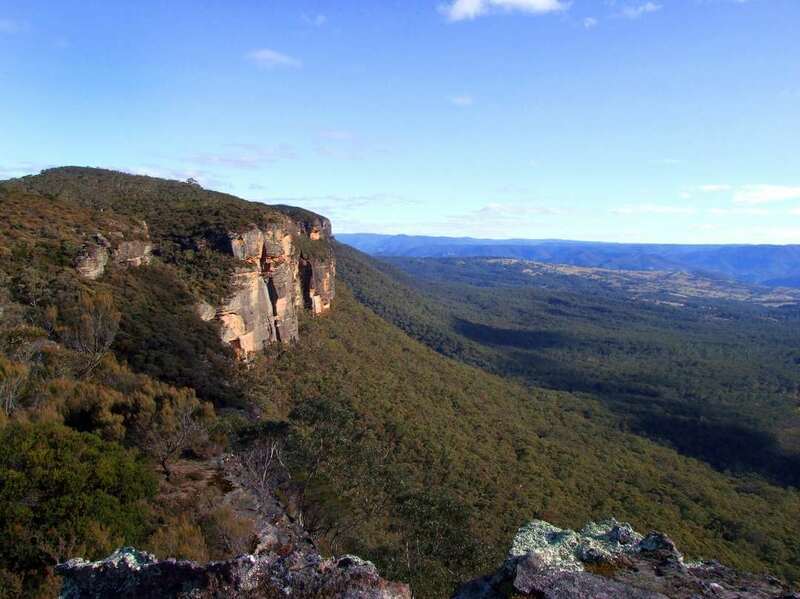 From here travel on to take in the views of the Grose Valley, seeing massive sandstone escarpments, & the famous blue tinge for which the area is named. There is also a strong focus on aboriginal culture, with a visit to Waradah Aboriginal Centre to learn about the world’s oldest surviving culture. Here you experience an energetic and fascinating aboriginal dance performance, along with culture talk, and a didgeridoo performance. At lunch visit the quaint mountain village of Leura, which has great shops and galleries. You’ll enjoy a two course restaurant lunch, while enjoying a glass of wine, beer, soft drink or a hot drink. 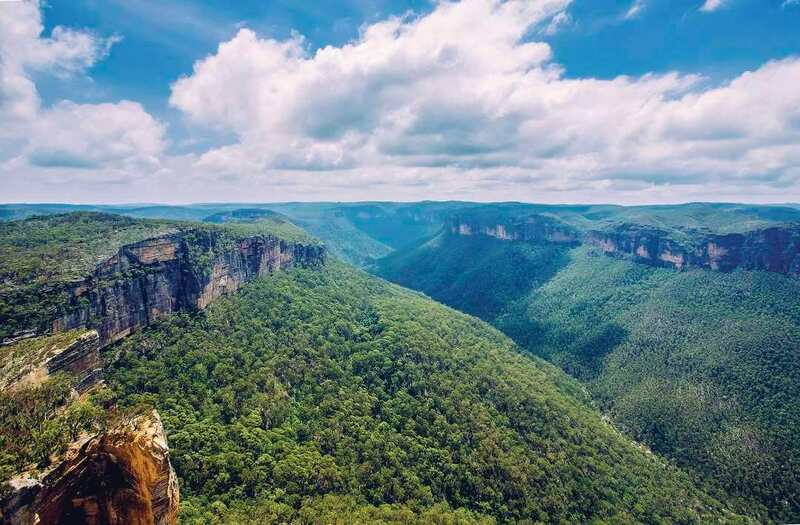 In the afternoon this flexible itinerary allows you to take in the variety of views and walks at the spectacular Wentworth Falls. In the evening return to Sydney in luxury vehicles.